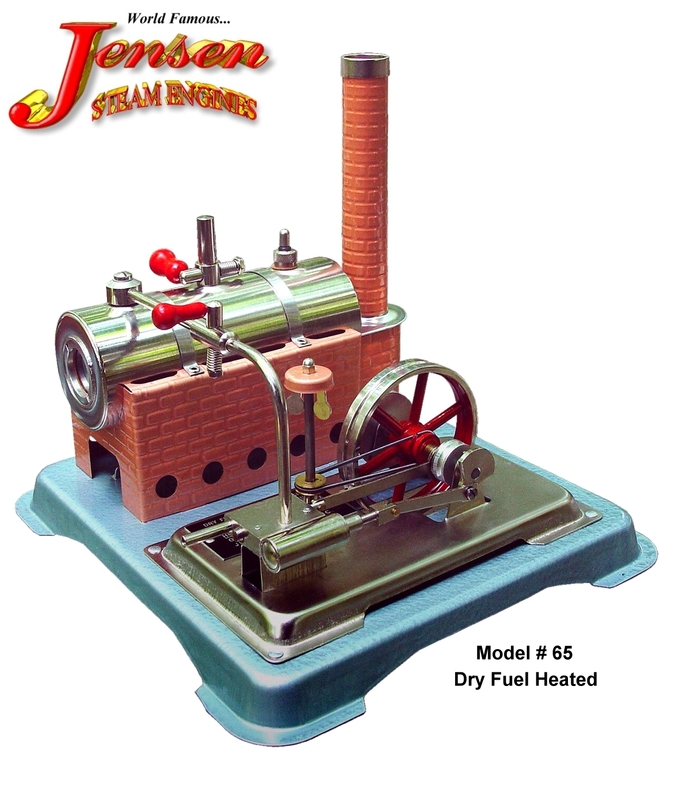 JENSEN STEAM ENGINE MFG. CO., INC.
Full-featured, mid-sized, Double acting slide valve stationary cylinder, "dry fueled engine with a 2-1/8 x 6 boiler. Powers Erector Sets, our 15-E generator and other miniatures with power to spare...also spin start" reversible. Includes pop valve, whistle and throttle. 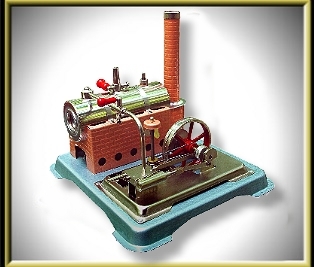 Copyright �1996 -2000 Jensen Steam Engine Mfg. Co. Inc All rights reserved.